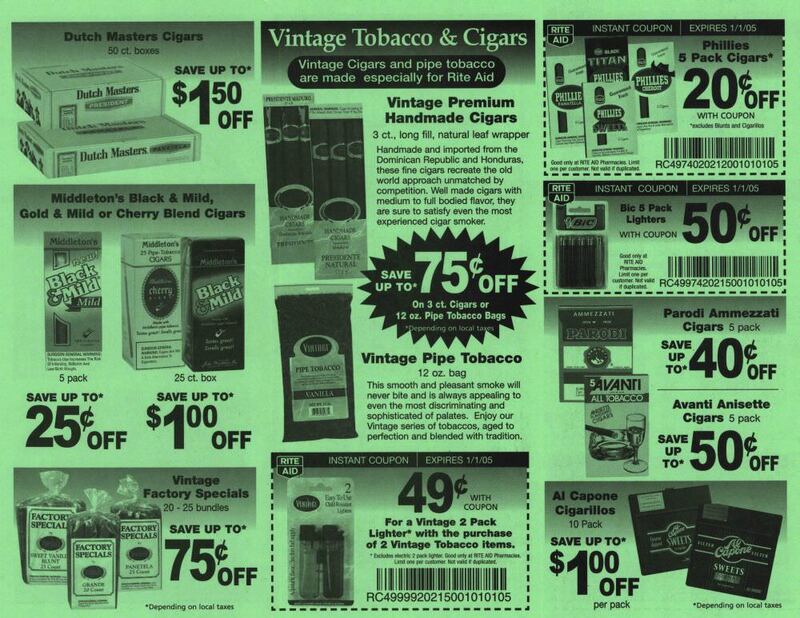 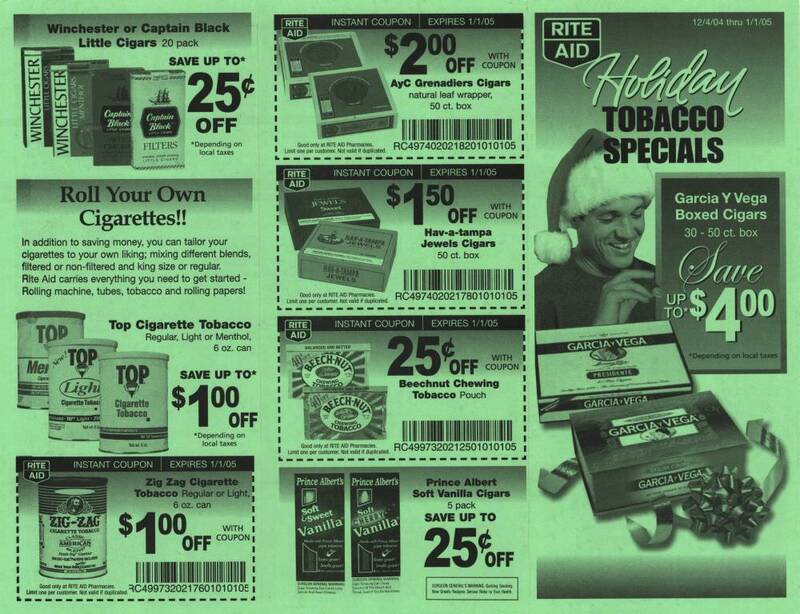 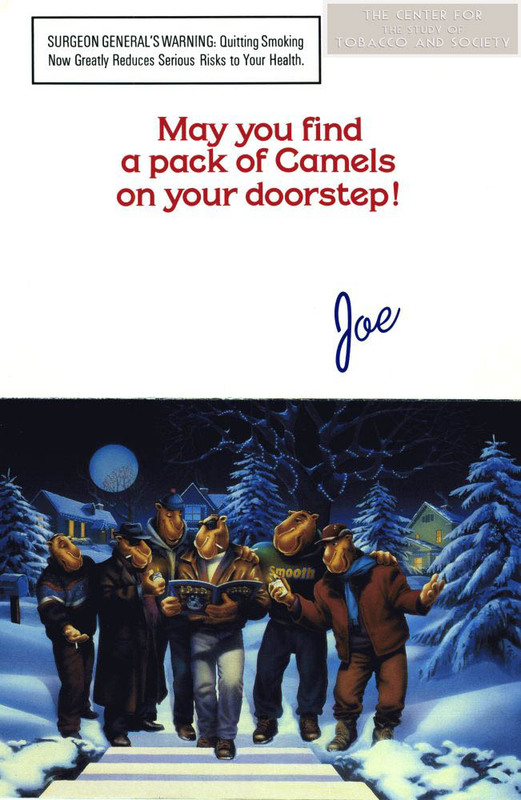 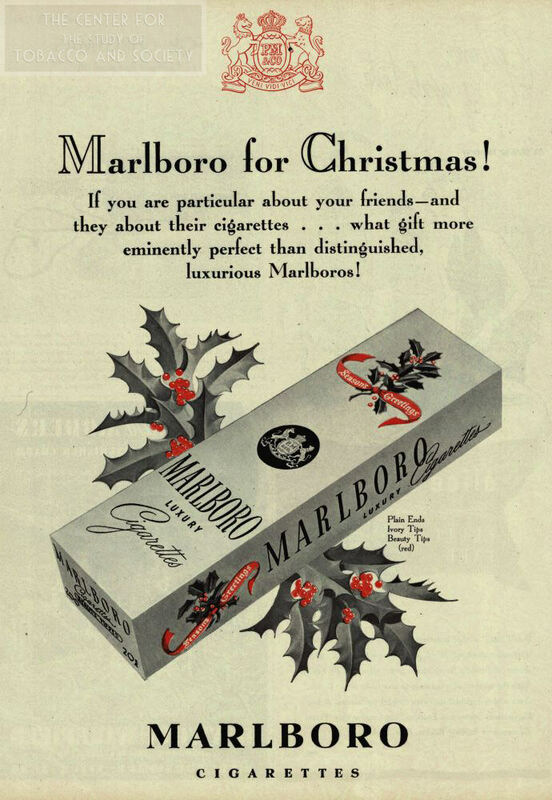 The season of giving was not immune to the pervasive reach of the tobacco companies. 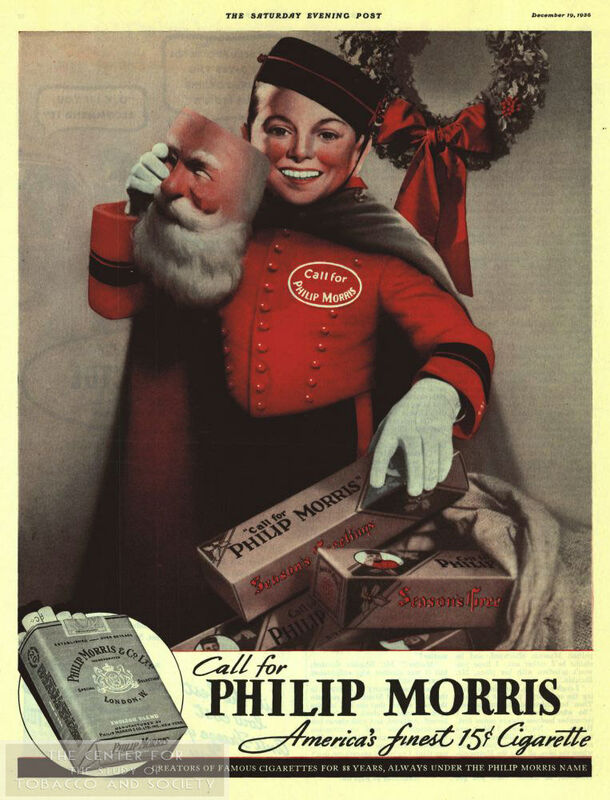 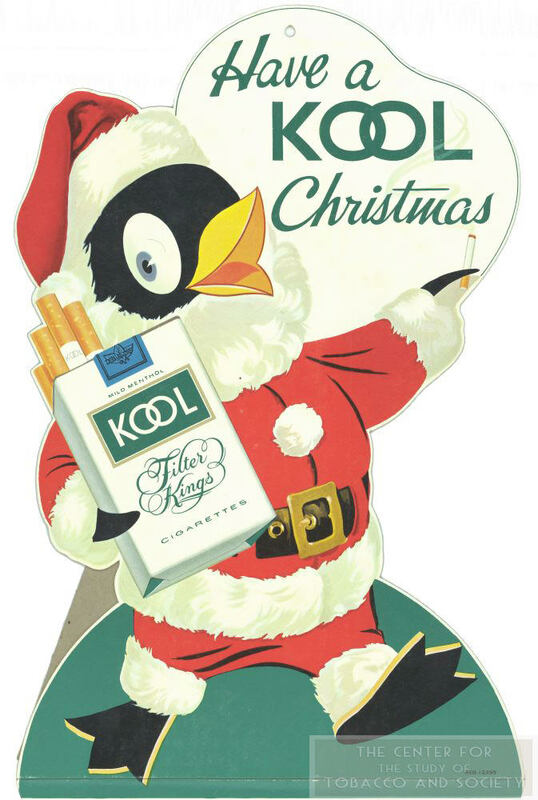 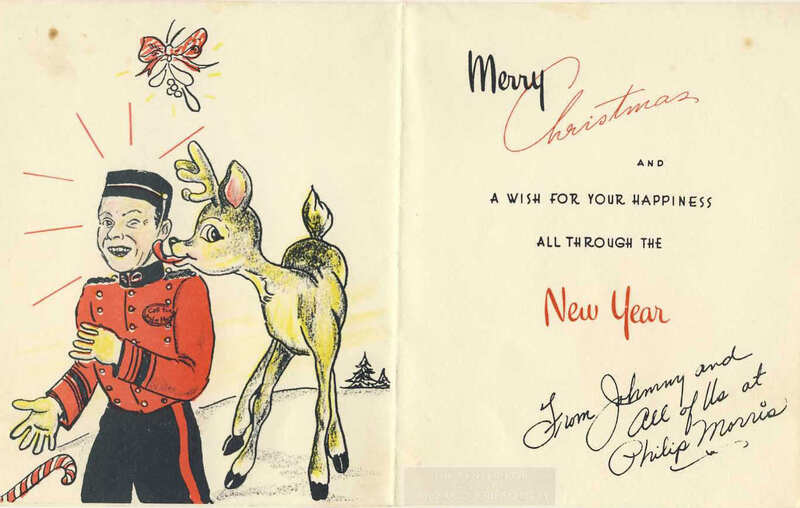 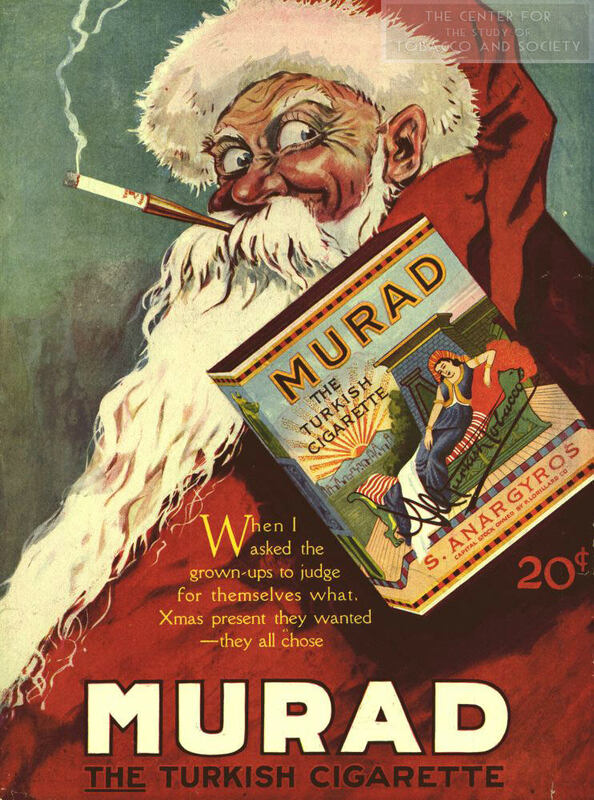 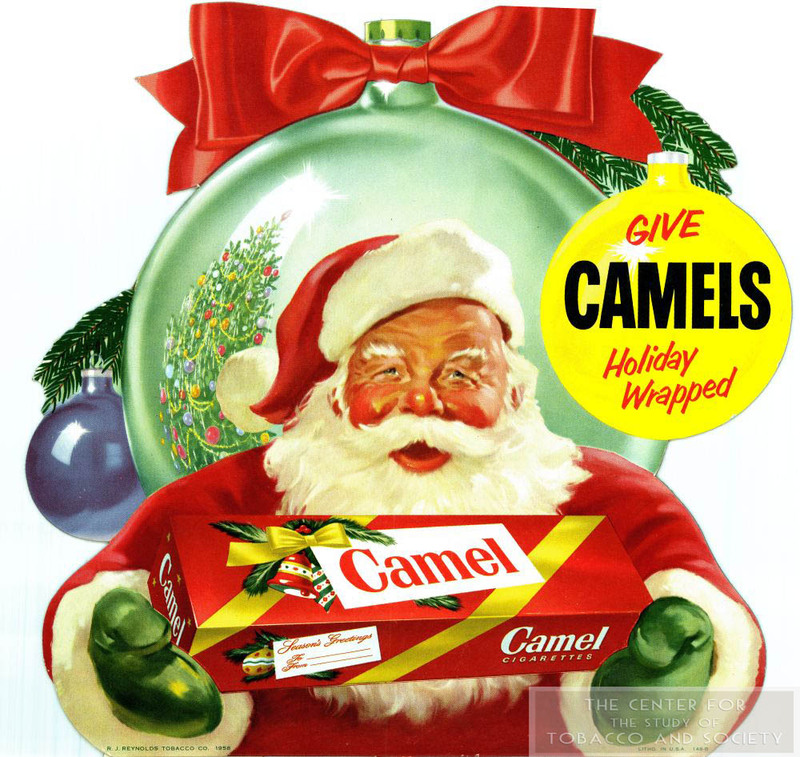 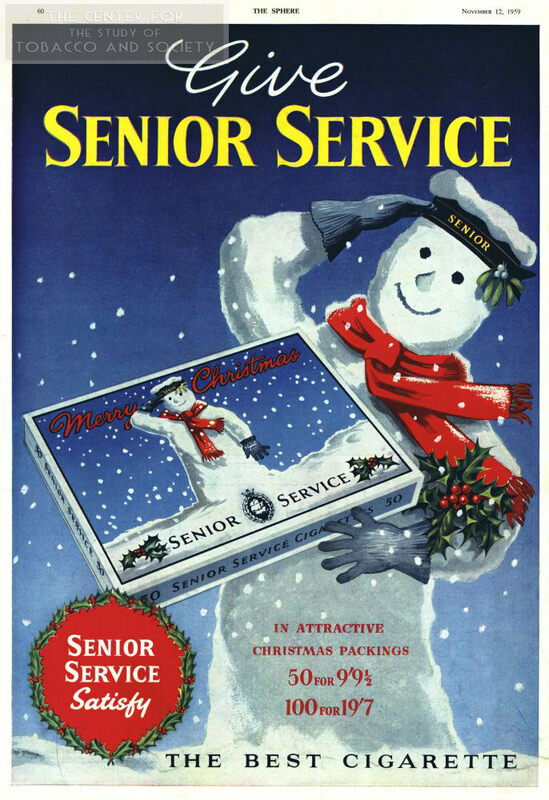 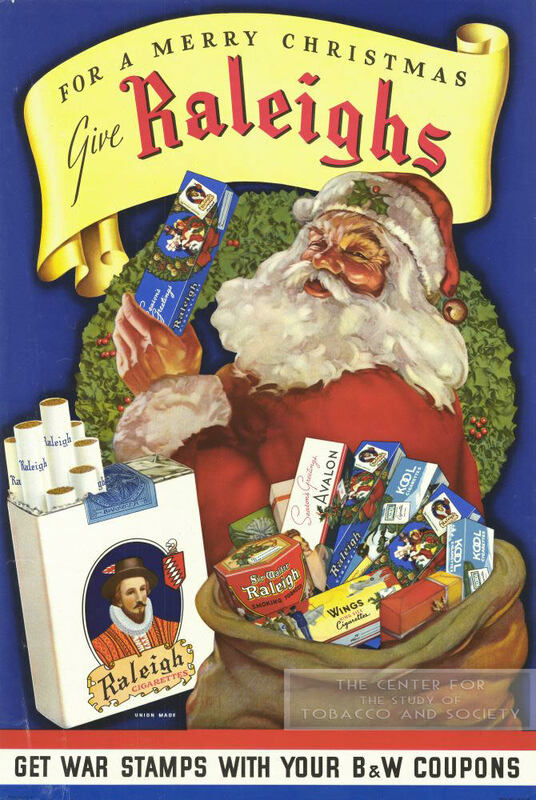 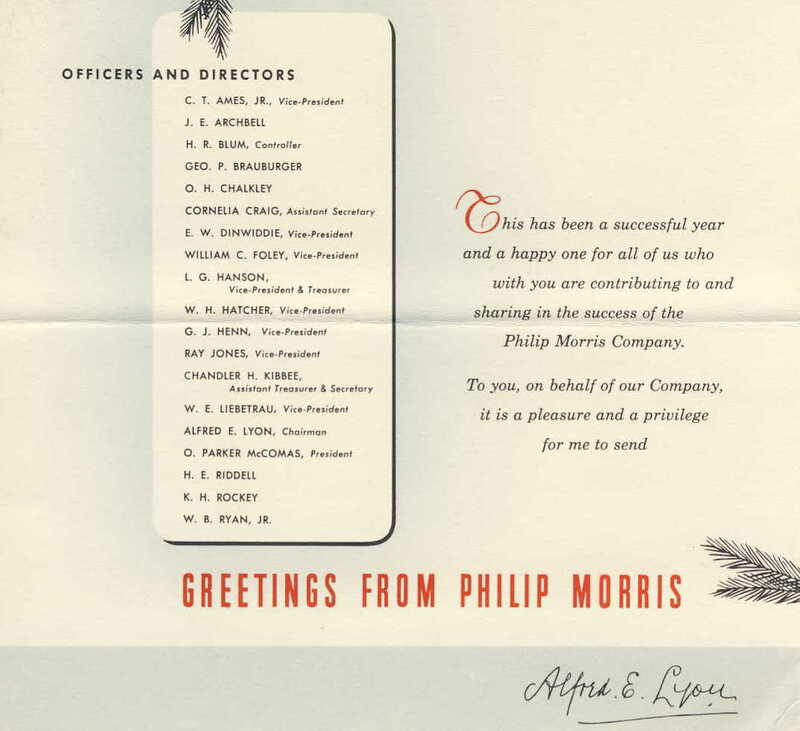 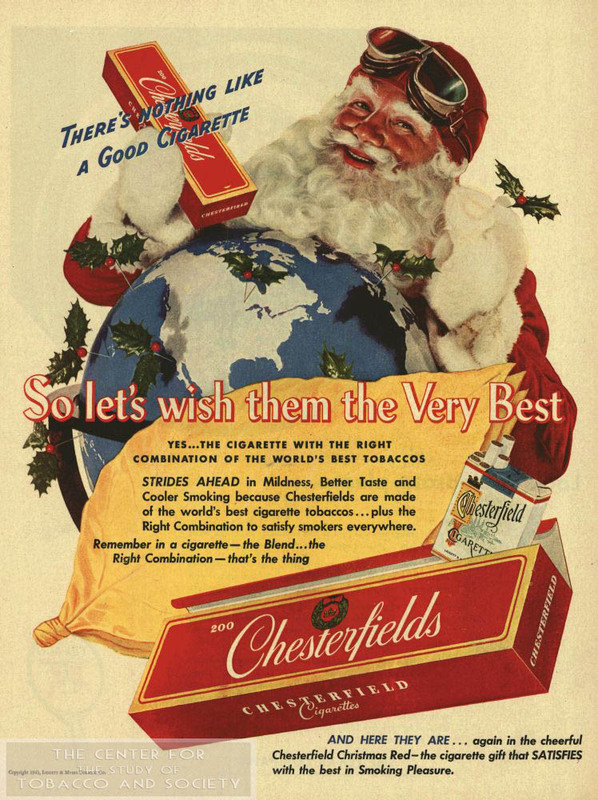 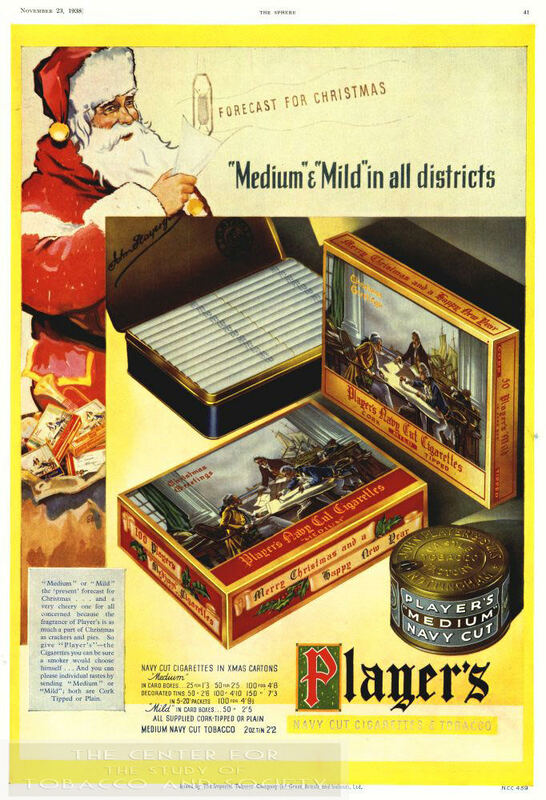 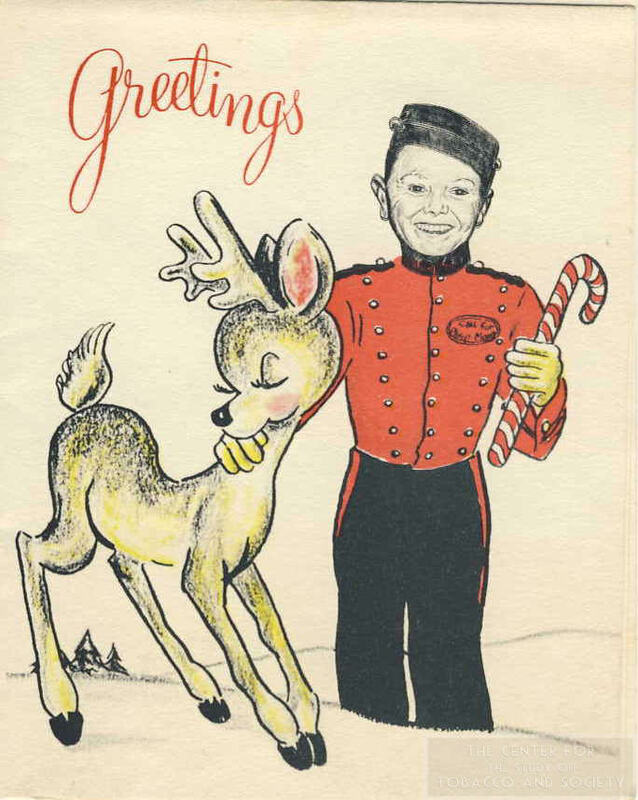 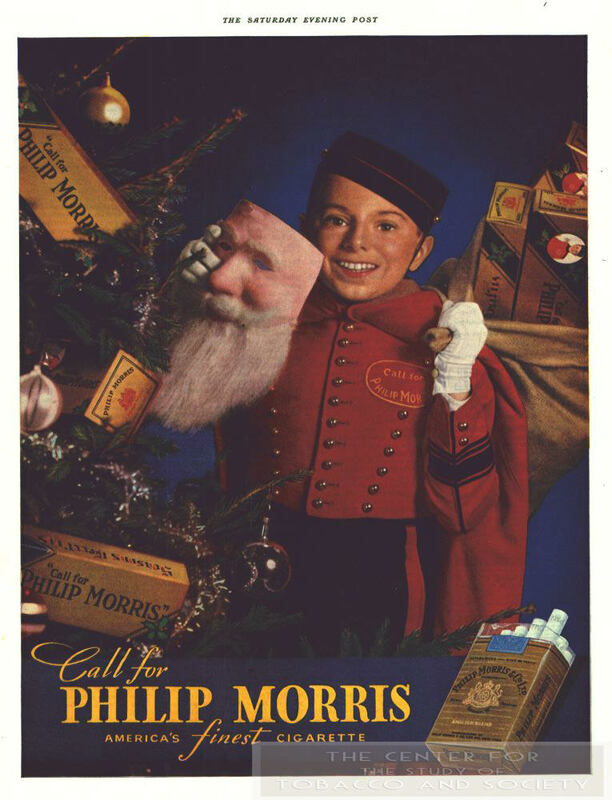 Enlisting Santa as a spokesman the tobacco companies offered promotions, cards, special packaging, and their mascots adorned as the jolly old elf for decades. 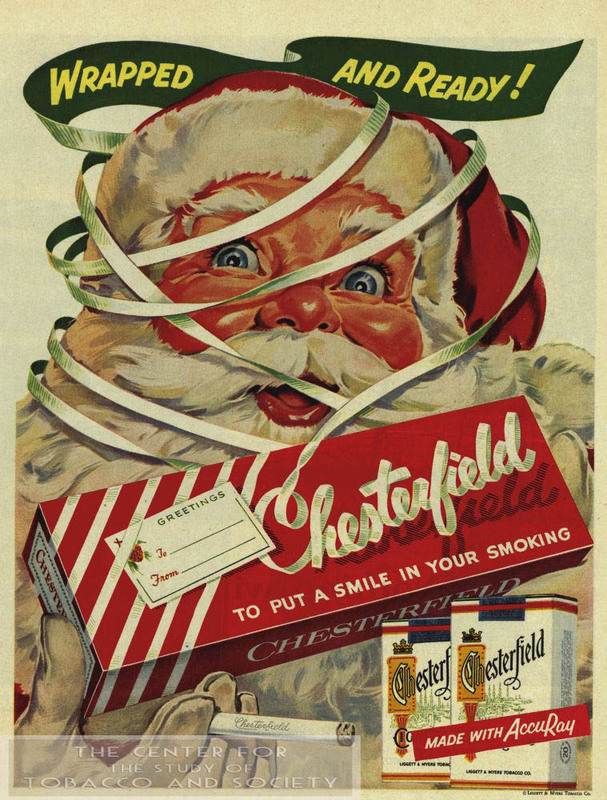 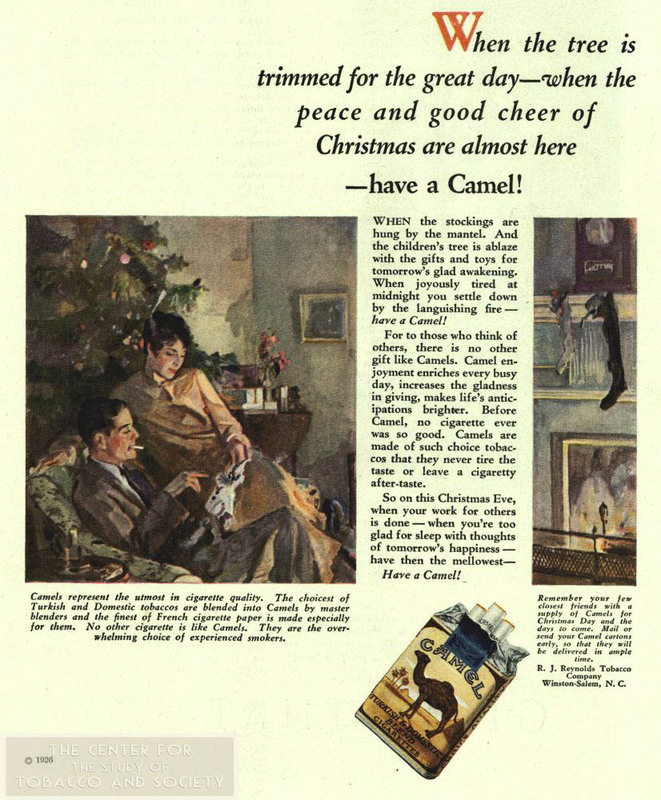 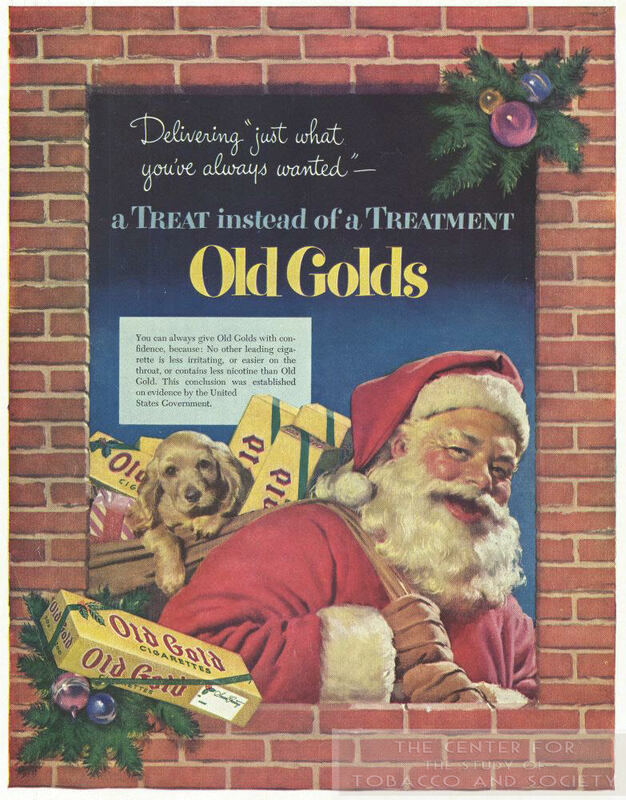 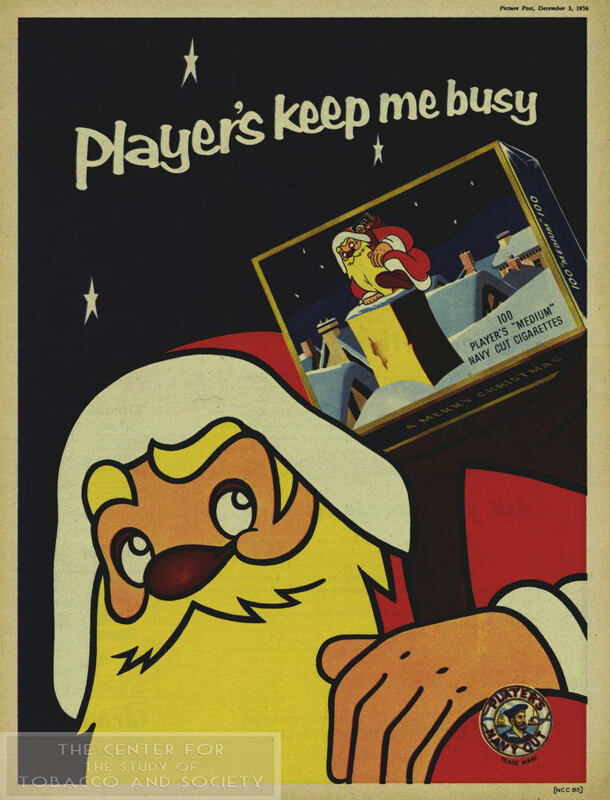 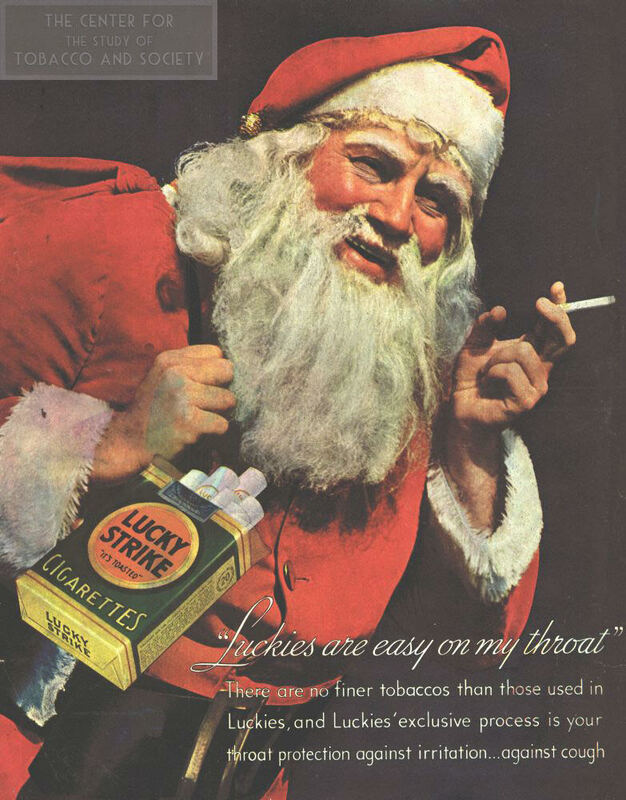 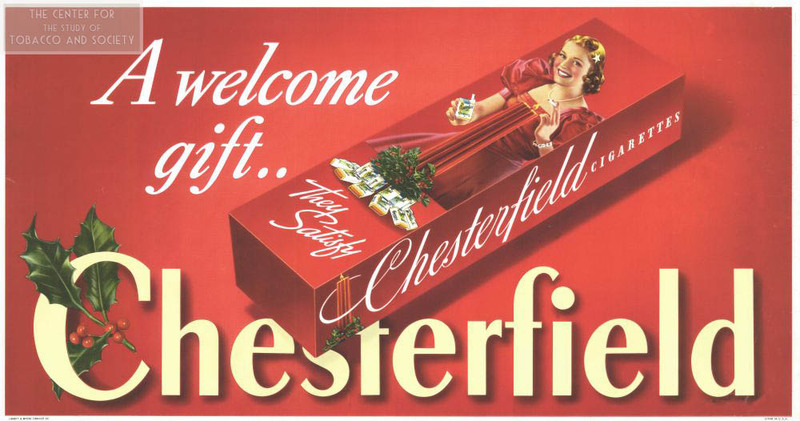 This exhibition, Merry X-Ray and a Happy New Lung: When Santa Sold Cigarettes, highlights this nefarious past connection between St. Nick and Big Tobacco. 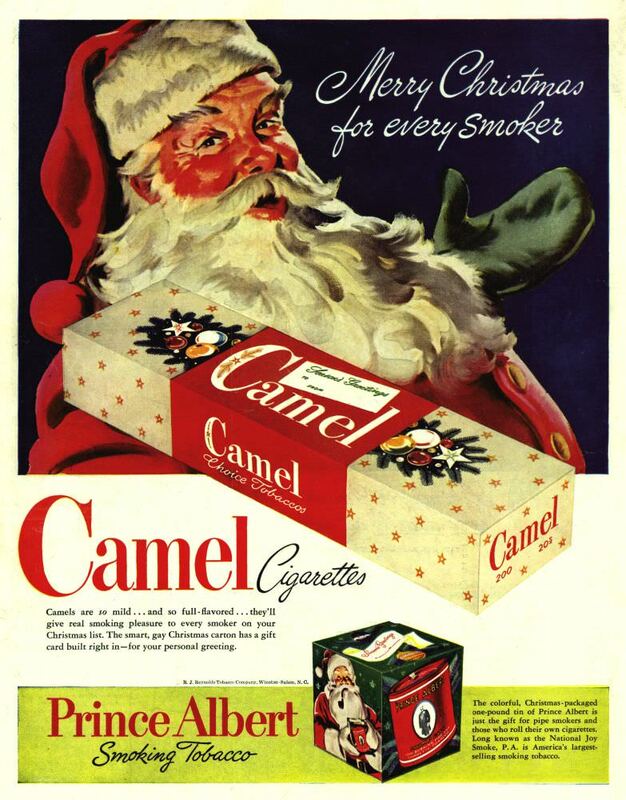 Blum A. Merry X-Ray and a Happy New Lung: When Santa Sold Cigarettes. 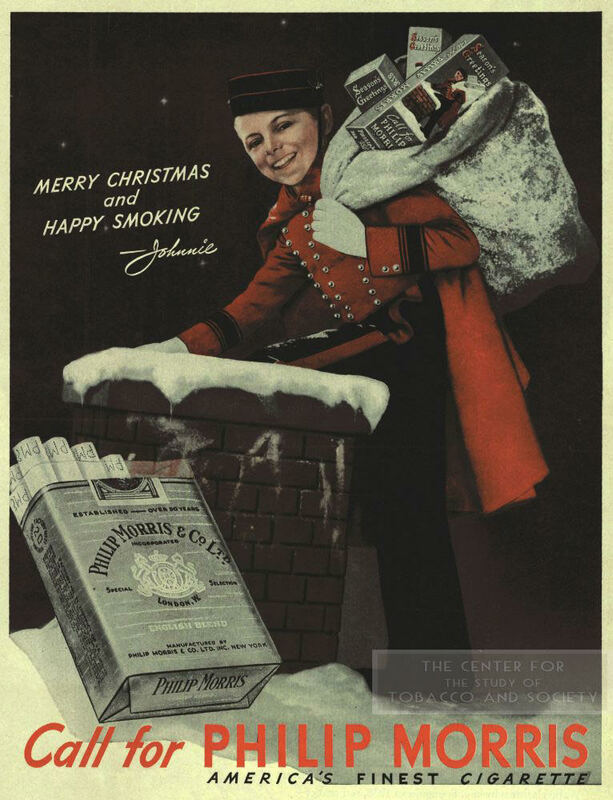 Center for the Study of Tobacco and Society. 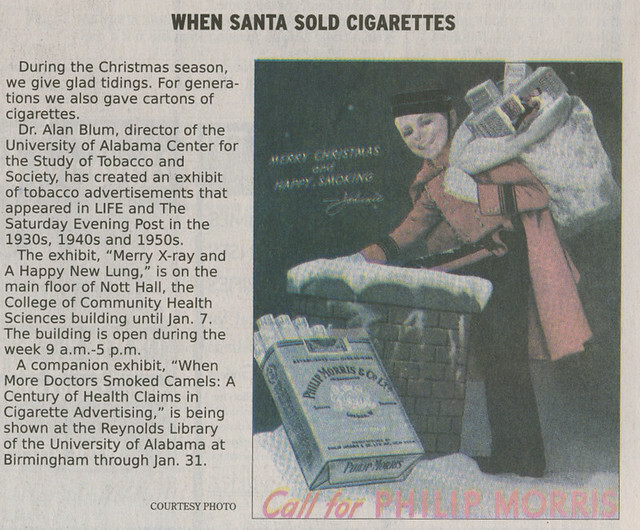 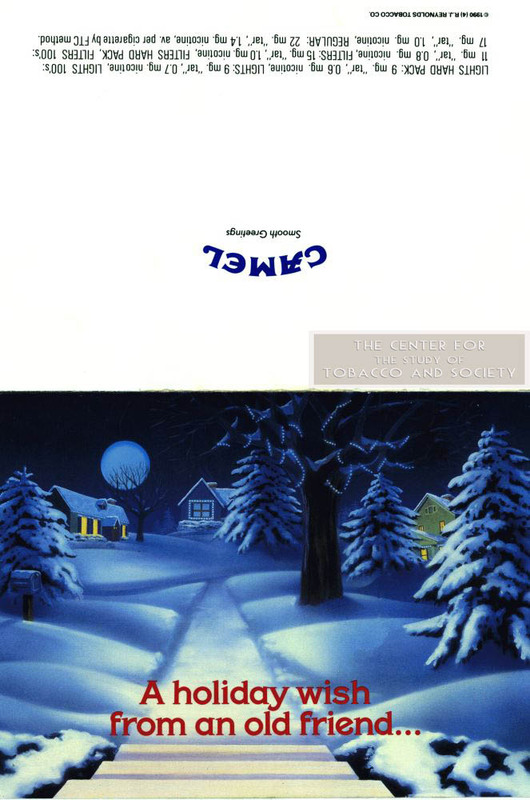 https://csts.ua.edu/exhibitions/2001-santa/. 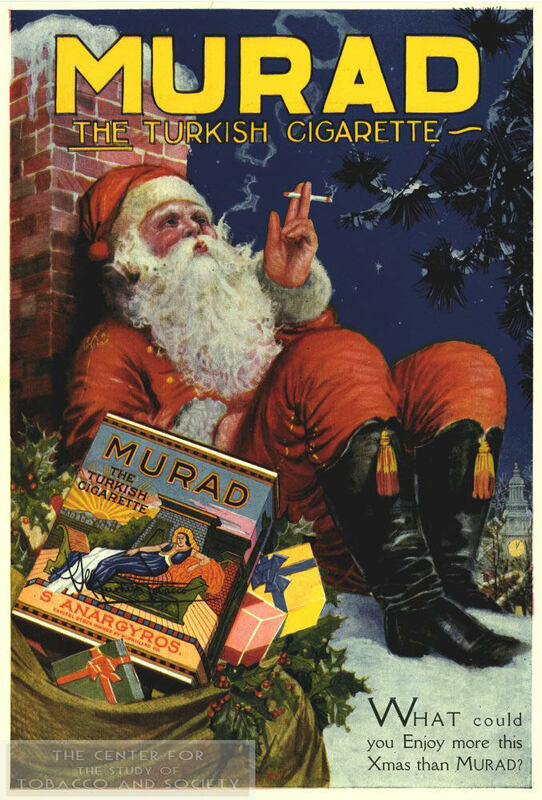 Published March 22, 2017.